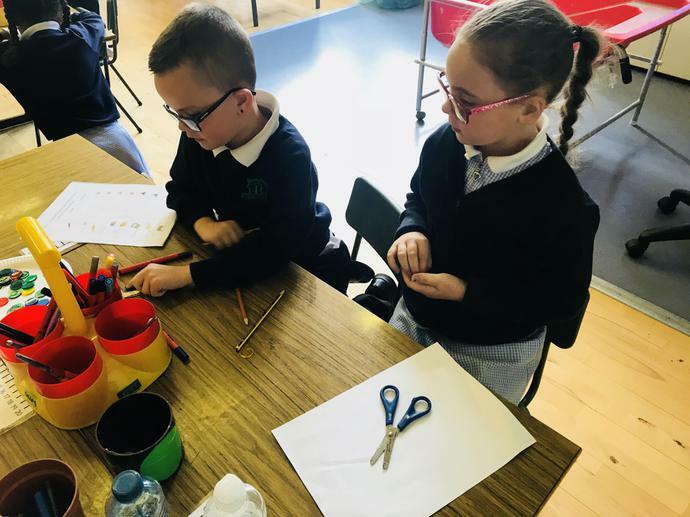 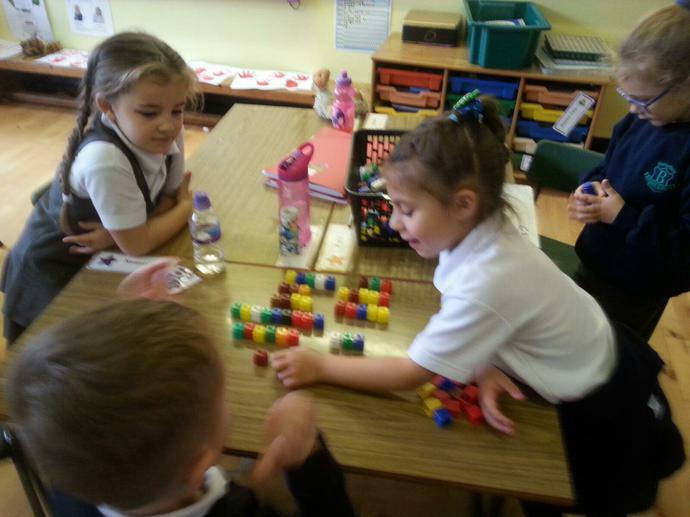 P2 have been measuring objects using non standard units of measure. 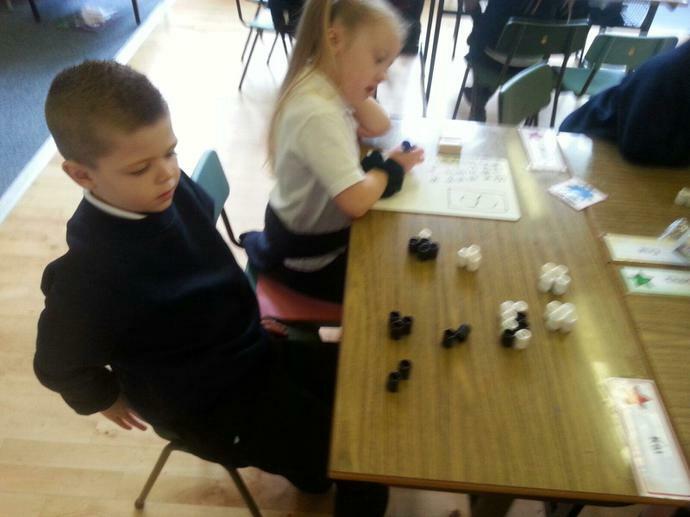 We know how to estimate the length and measure using counters, cubes and our hands. 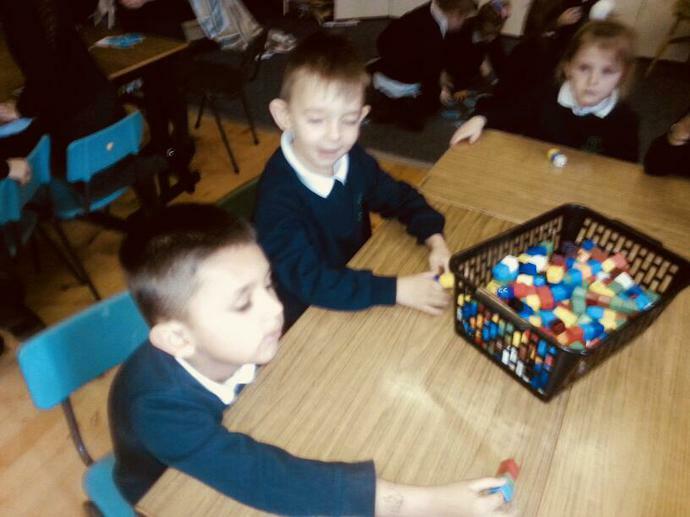 P2 are learning all about 2D and 3D shapes. 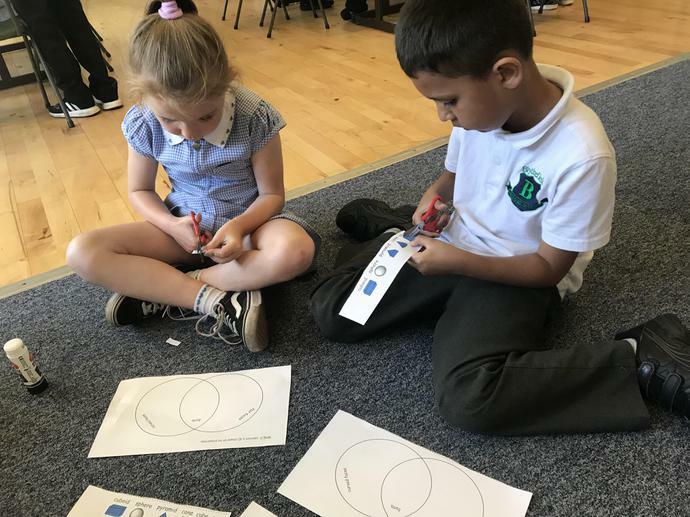 We now know how to separate these by their properties using a Venn diagram. 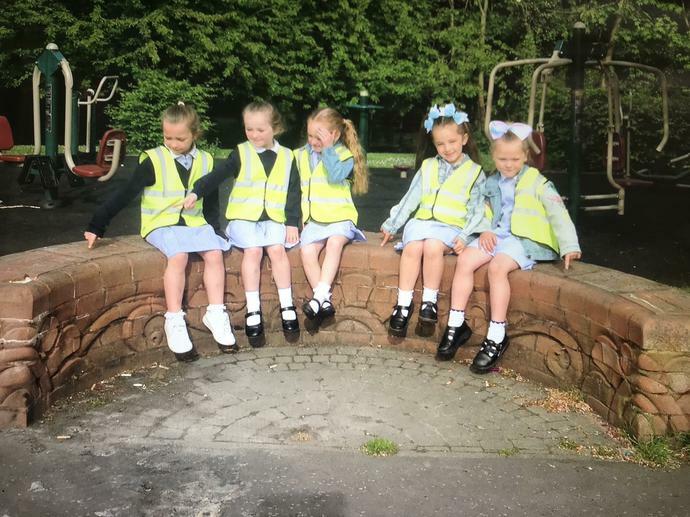 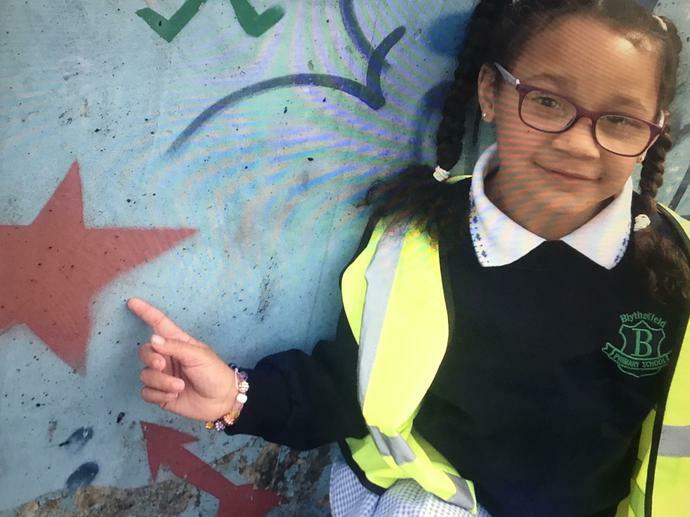 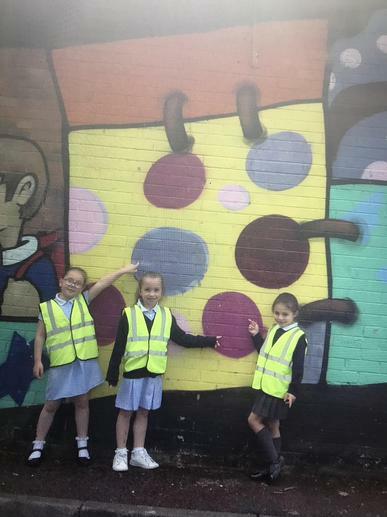 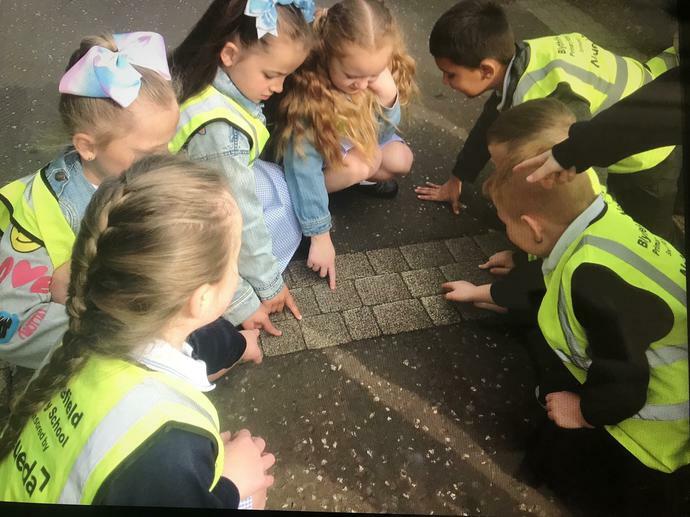 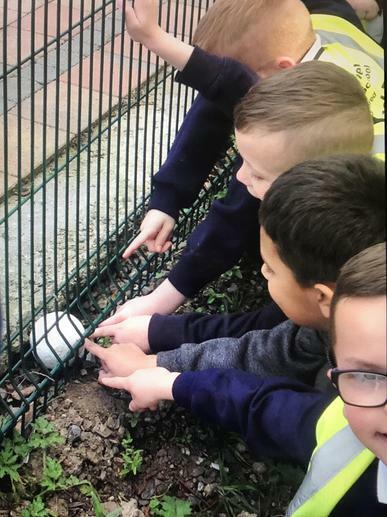 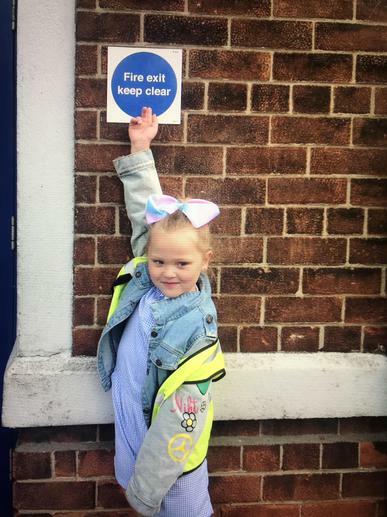 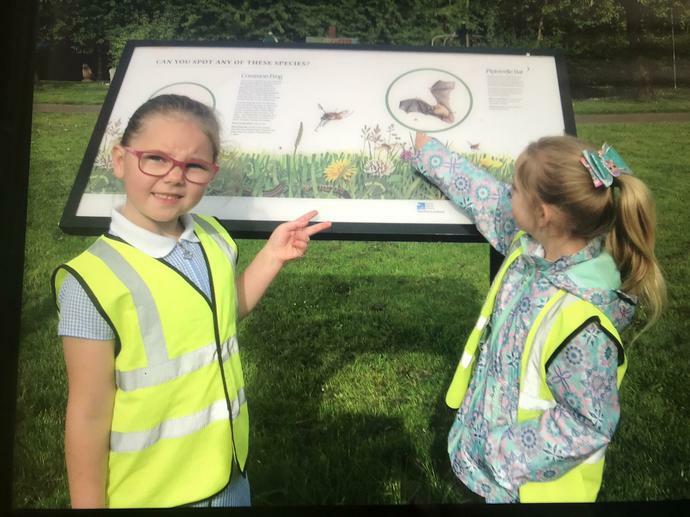 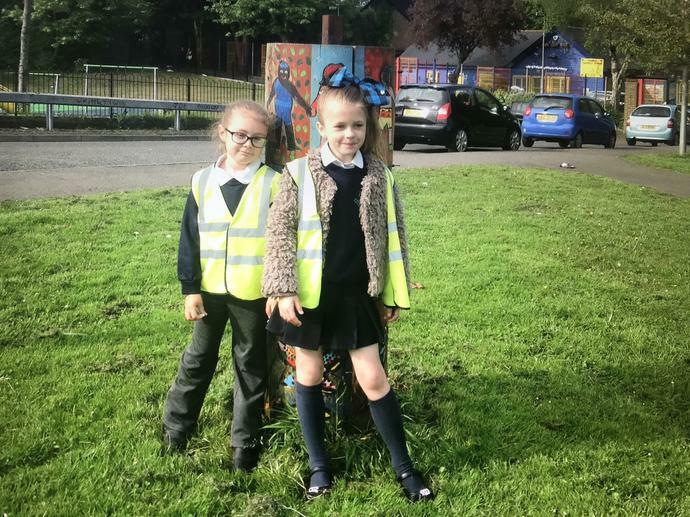 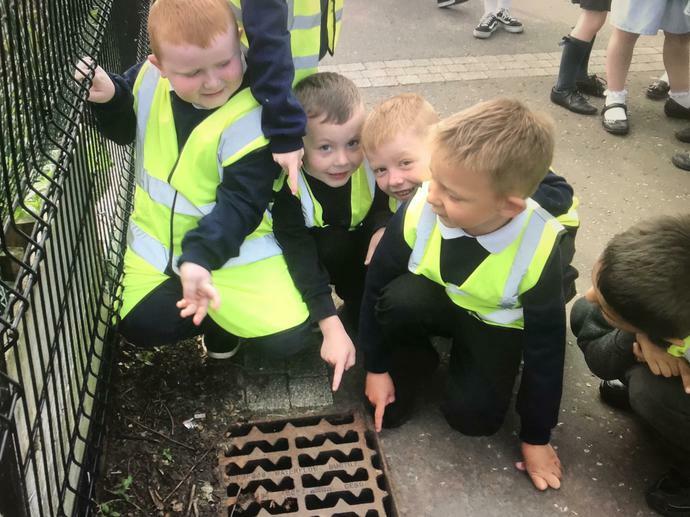 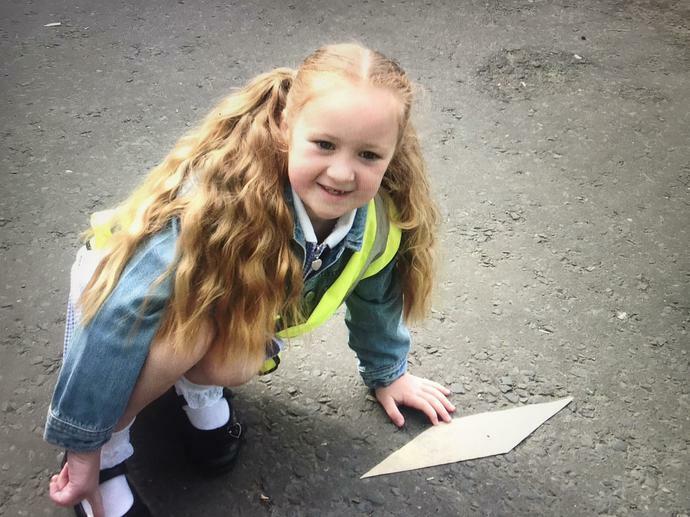 Primary Two have been searching for shapes on our daily mile during Numeracy week. 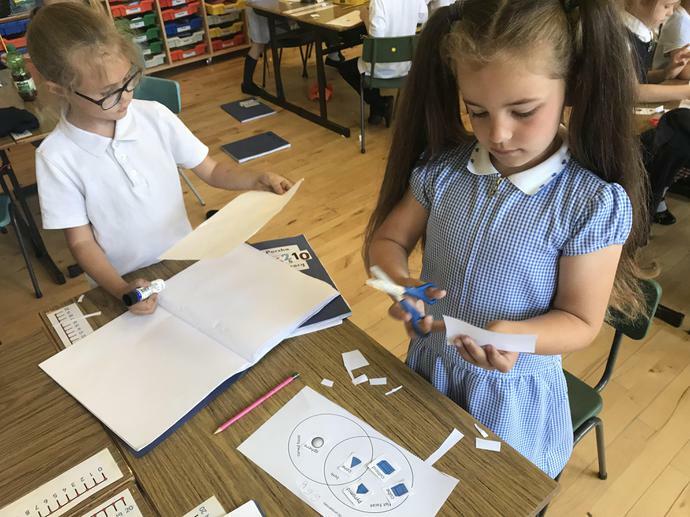 We are experts at finding 2D and 3D shapes . 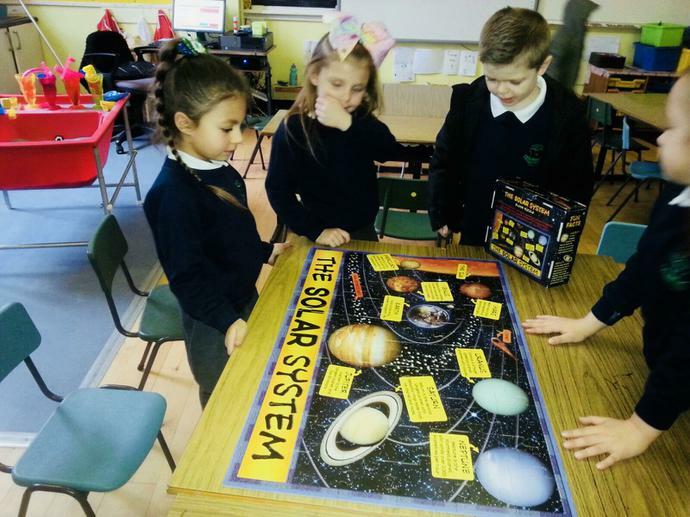 We just love learning about Space! 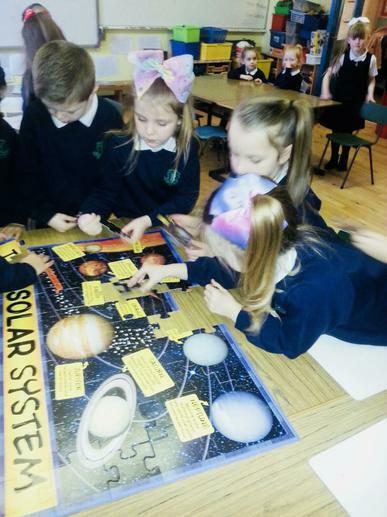 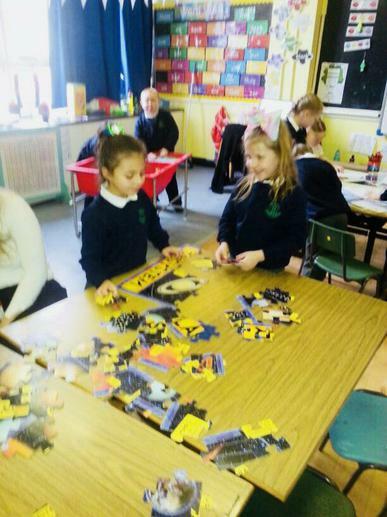 So we worked as a team to solve our Space jigsaw. 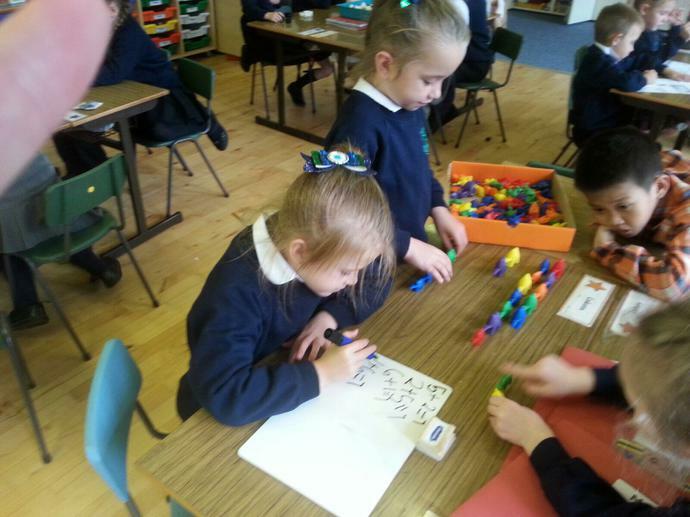 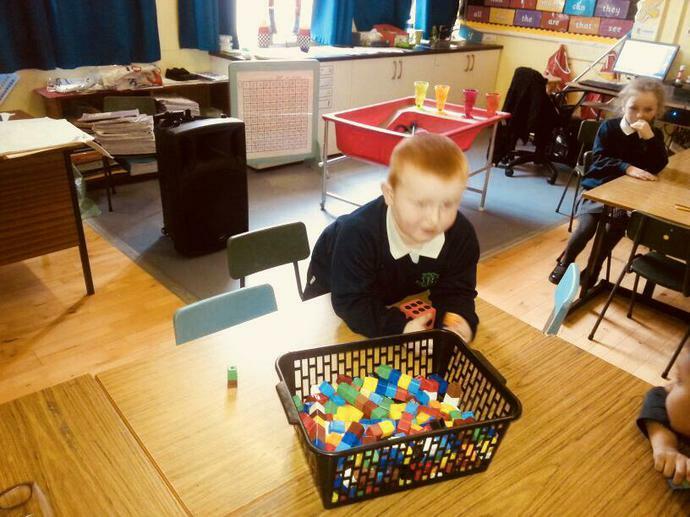 We have been looking at patterns and using cubes to build to 10. 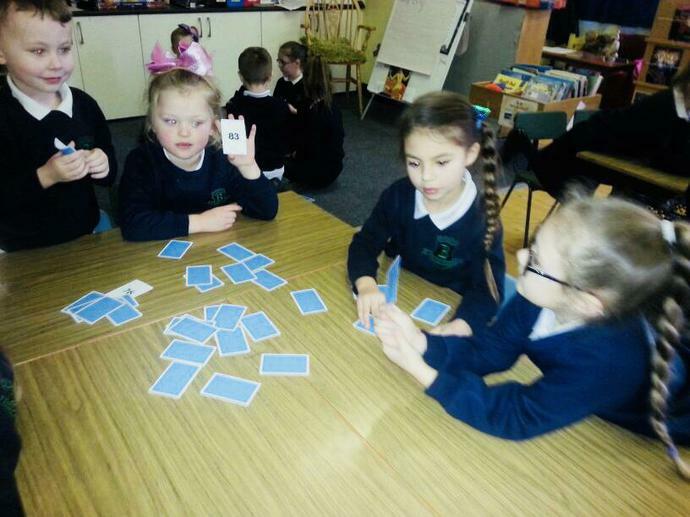 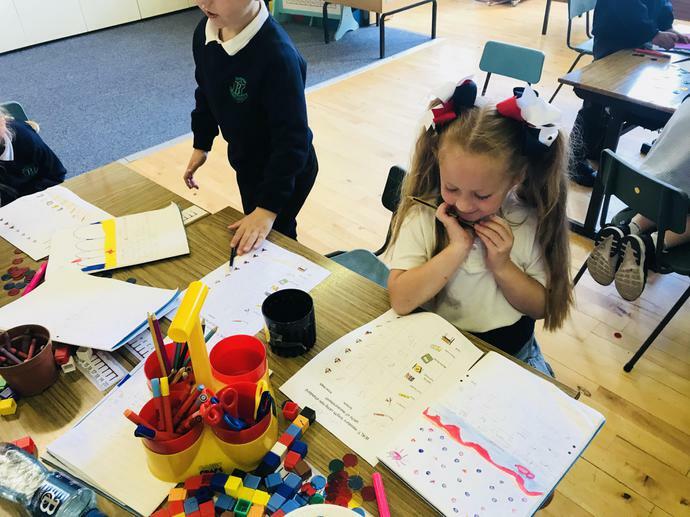 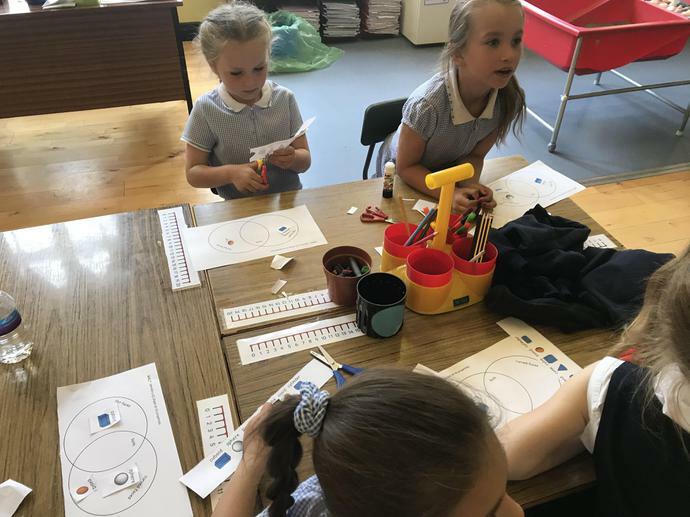 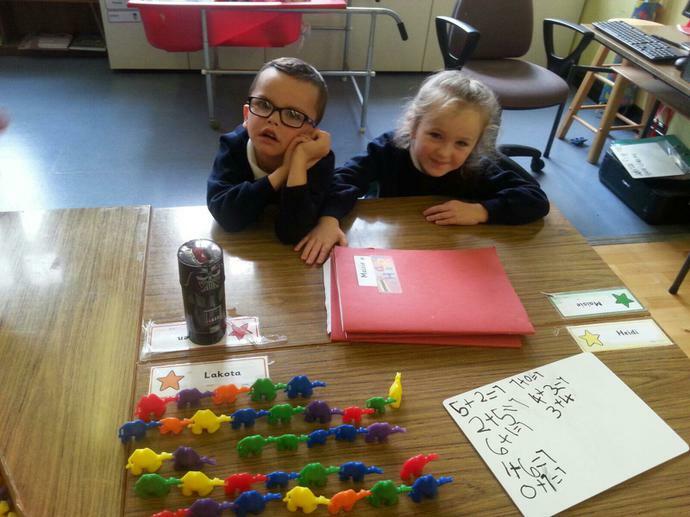 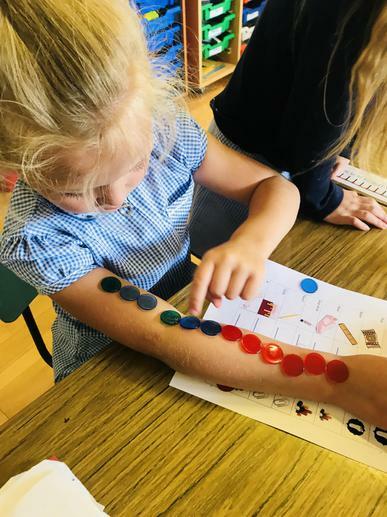 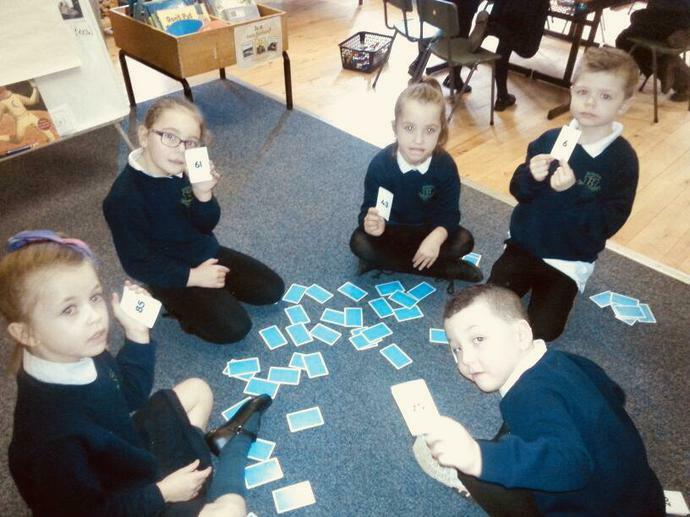 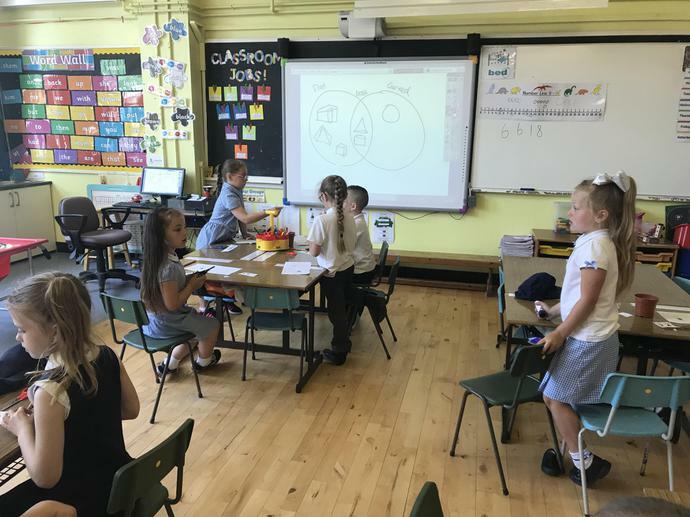 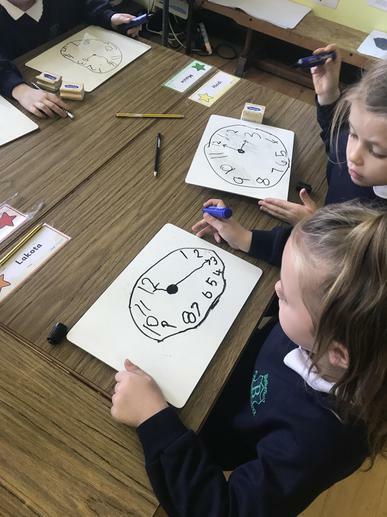 P2 have been learning all about odd and even numbers. 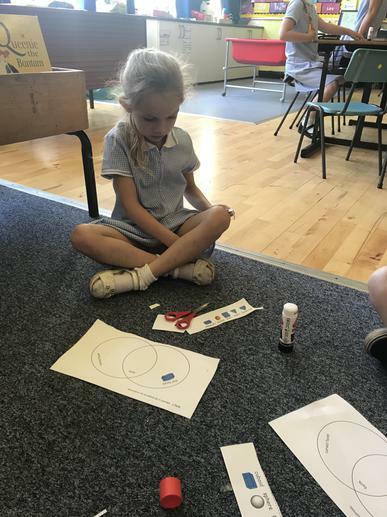 We can now recognise and sort these numbers into categories. 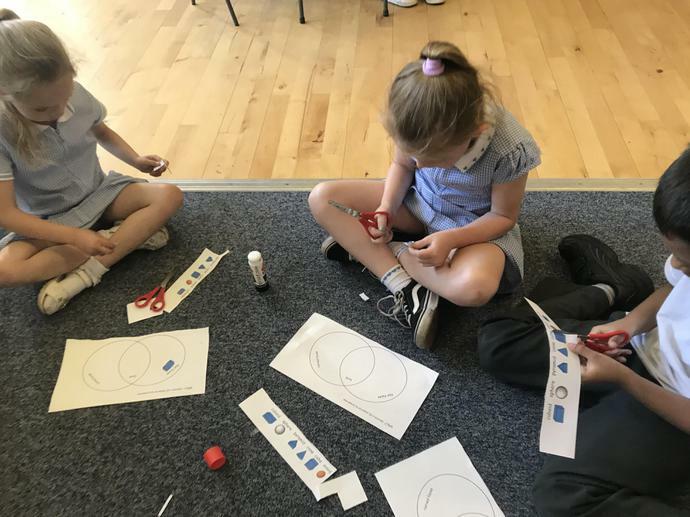 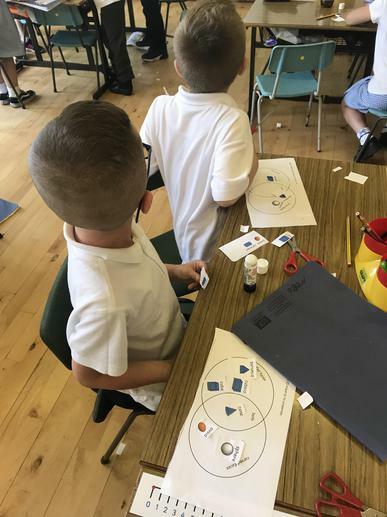 Primary two are learning all about shape and space. 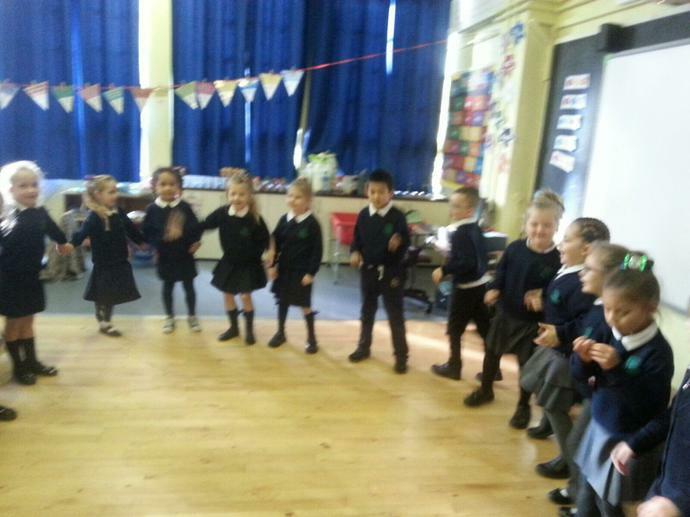 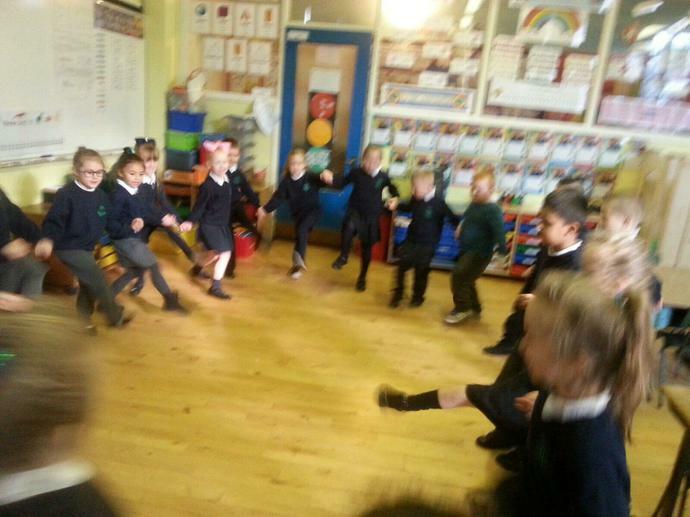 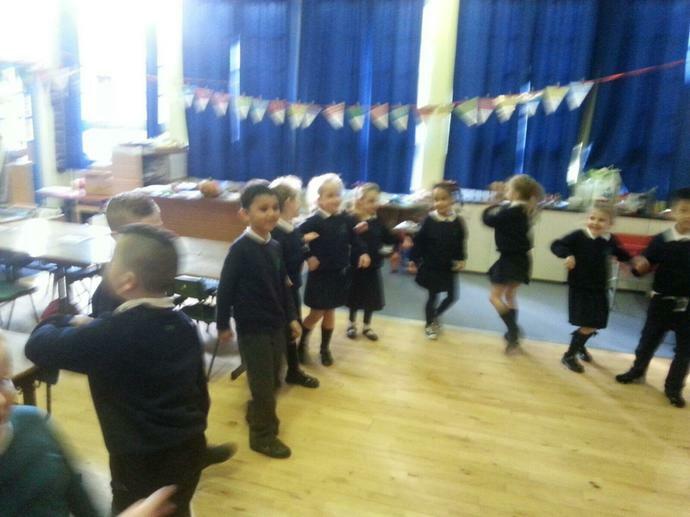 Today we looked at movement and directions, focusing on positioning our bodies and giving instructions. 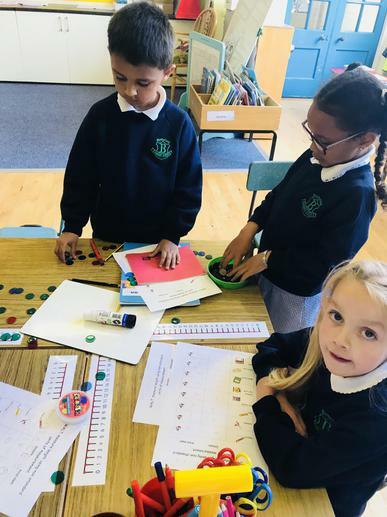 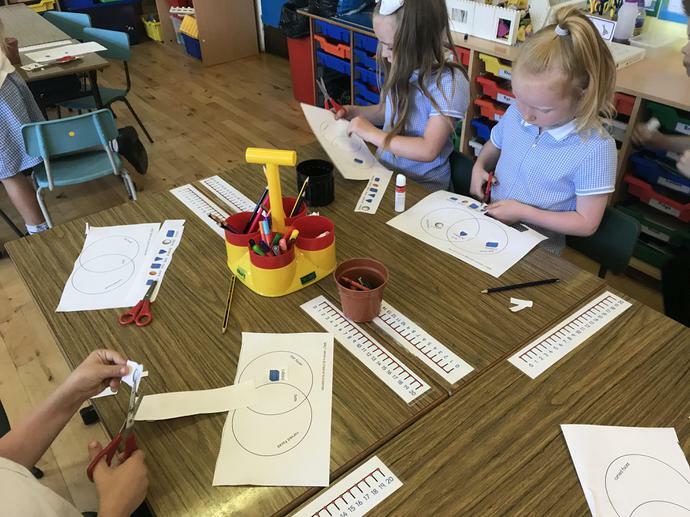 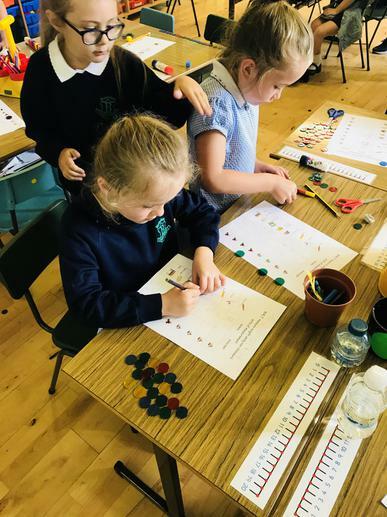 P2 making Number bonds to 10 using different maths aids. 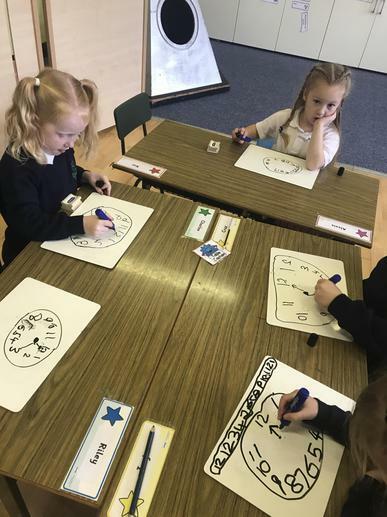 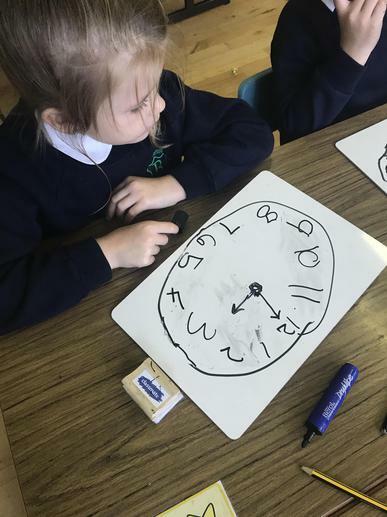 We are learning about time in P2. 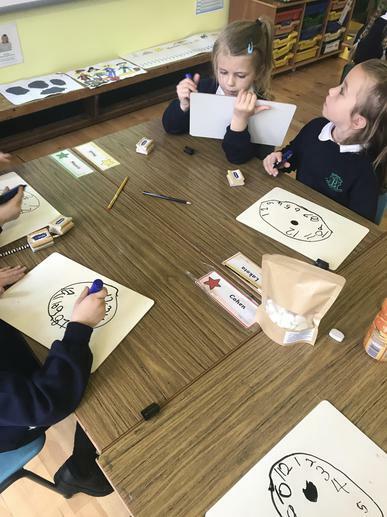 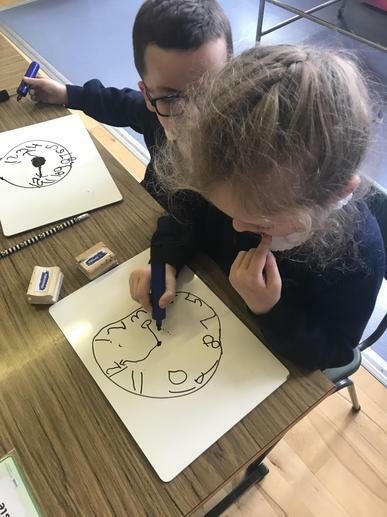 We enjoyed drawing our own clocks and telling the time.